OK..how stinkin' cute is this Hedgehog?!? 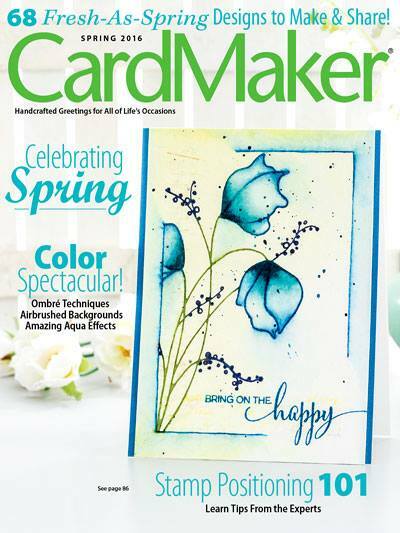 For the next several days all the Designers at Joy Clair Stamps are showcasing the new release. 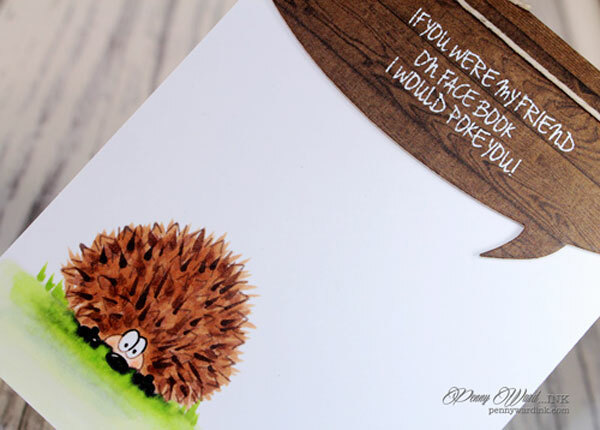 First up is the adorable Hedge Hogtastic stamp set. I will admit that critters are not my favorite thing to color, but I do love how his spikey hair turned out. This stamp set comes with several Hedgies, as well as really cute sentiments. go on, check them out, really...go! But don't forget to come back tomorrow for another new stamp reveal! Oh my...this CAS card packs a punch! Love the textures and contrast of colors! Love your use of white space, Penny! 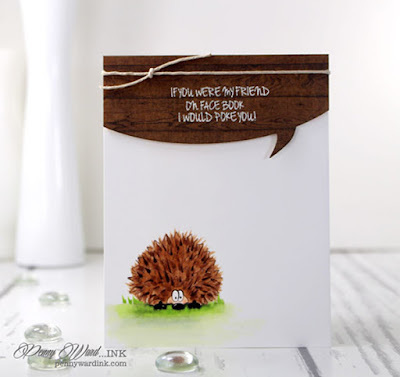 So glad that you join the fun over Simon Says Stamp Wednesday “Create with Critters” Challenge!